Likenesses attend New York Yankees at New York Mets. Lookalikes of Neymar, Cristiano Ronaldo and Lionel Messi went to watch New York Yankees at New York Mets in the Major League Baseball. 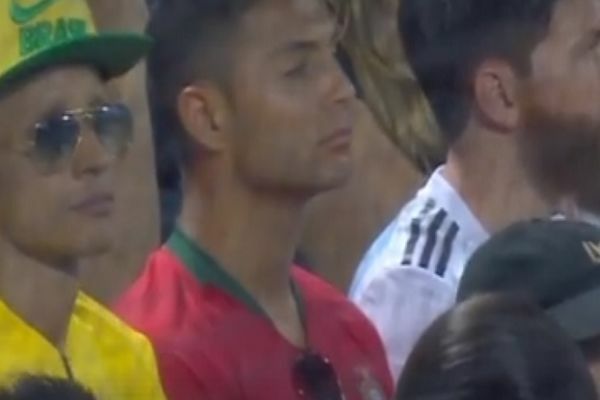 Likenesses of the Brazil, Portugal and Argentina stars were spotted in the crowd at the Mets’ Citi Field stadium, although it is not known who they are or whether it was a publicity stunt for the World Cup. The Mets pulled off a shock 2-0 win over their local rivals, ending a run of eight straight defeats.